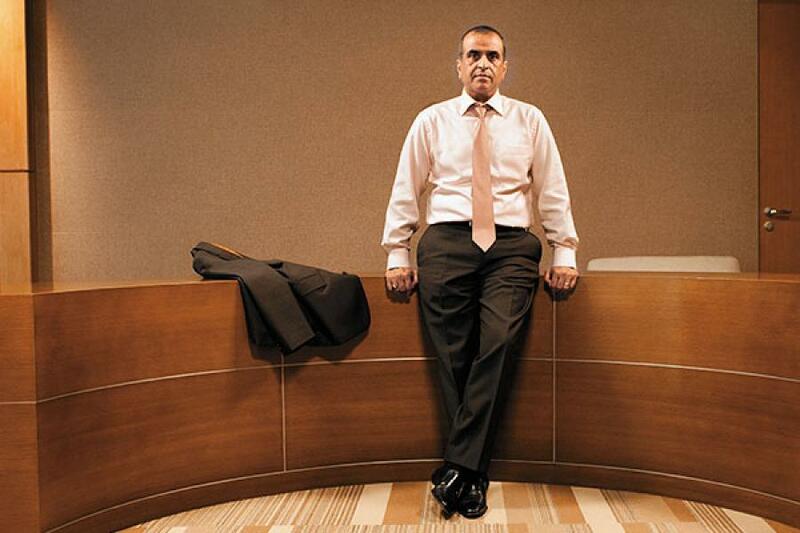 Time is running out for him.” That’s what we’d said about Sunil Mittal in our profile of him in 2012’s Forbes India Rich List. A year later, time—and tide—is back on his side. It is safe to say that the world according to Mittal was gloomy this time last year. The Bharti Airtel stock (which accounts for 90 percent of Bharti Enterprises’ revenues) was down over 30 percent as against the previous year; the company had painted itself into an adversarial corner with telecom regulators and the ruling political party alike; debt was dragging down its balance sheet and, in turn, its ability to invest in the future; and Mittal’s joint-venture forays outside telecom were largely floundering. The 55-year-old has since staged a considerable comeback. And, in the process, in one of the worst years for Indian business, he has risen two places on the Forbes India Rich List to 10th, with a net worth of $6.6 billion (up from $5.9 billion last year). The one dark spot during this otherwise buoyant period has been the unceremonious pause to its much-hyped foray into retail: The Bharti-Walmart joint venture disintegrated in early October after a troubled relationship of five years. Regulatory uncertainties coupled with allegations of circumventing Indian investment rules (which Walmart has since been cleared of) caused the US retailer to go single. Mittal, meanwhile, has brought back Raj Jain, the former head of the joint venture business, as advisor and a potential head of Bharti’s independent retail efforts. However, the group’s core business of telecom has gained in strength and in numbers. The Rs 46,814 crore-Bharti Airtel’s stock is up 27 percent over the previous year. Now, tempting as it may be to ascribe Airtel’s change of fortunes to Mittal’s efforts, much of the credit is due to changed circumstances. It helps that the company is now on the favourable end of a regulatory pendulum that swings between camps, views and approaches every few years. For instance, Trai has recommended steep cuts (60 percent) for the next round of spectrum auctions. There have been no warnings from regulators over tariff increases either. It’s not that Mittal hasn’t made big bets in the last one year. In early 2013, he roped in Gopal Vittal as the CEO. It was a gamble because Vittal came from an FMCG background; also, he had quit Airtel (as its head of marketing) in the past to go back to Hindustan Unilever. While there was a flurry of senior executive resignations and organisational uncertainty following this appointment, Vittal has since steadied Airtel and further solidified the foundation laid by his predecessor, Sanjay Kapoor, in transitioning the company from voice to data services. Today, over a quarter of Airtel’s customers are data subscribers. Further, Bharti’s business in Africa, which is Mittal’s long-term hedge and bet, is not doing as poorly as before. For the quarter ended June 2013, it lost $106 million compared to the $124 million in the preceding quarter. Though it is yet to make profits, its losses are falling; and its data-subscriber base grew by 65 percent over the last year. Perhaps most importantly, Mittal has stuck his neck firmly out by acquiring a 100 percent stake in the joint-venture vehicle with Qualcomm that holds 4G licences in key cities like Delhi and Mumbai. The department of telecom had, in the past, tried its best to scupper Qualcomm’s auction-won licences—so the significance of the smooth acquisition by Airtel cannot be underestimated. Mittal will need those 4G circles to combat a dark horse waiting in the wings—Reliance Jio Infocom— which is the only holder of a pan-India licence for all kinds of data and voice communications over 4G. (Reliance Jio Infocom’s parent company, Reliance Industries, has a stake in Forbes India’s parent company Network 18 via an independent trust).